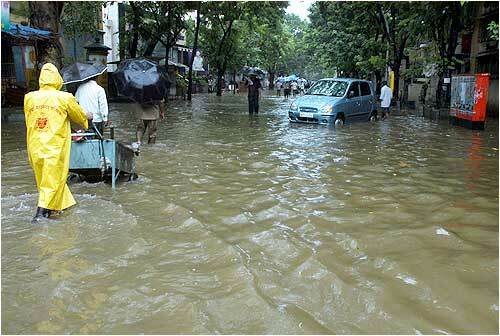 Heavy rains threw normal life out of gear in India's financial capital Mumbai on Wednesday. 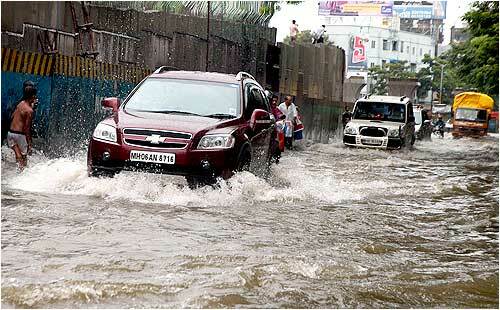 The city witnessed waterlogging in several areas and disruption of air and rail traffic. 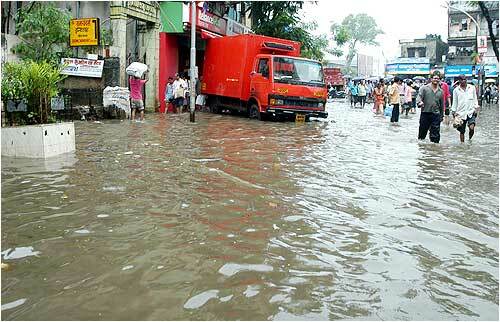 Morning office-goers reached late at work places as Western and Central Railways' suburban services were delayed. Services on the main line of Central Railways were operating nearly half an hour late, while the Harbour line was delayed by up to 15 minutes due to waterlogging at some stations, officials said. 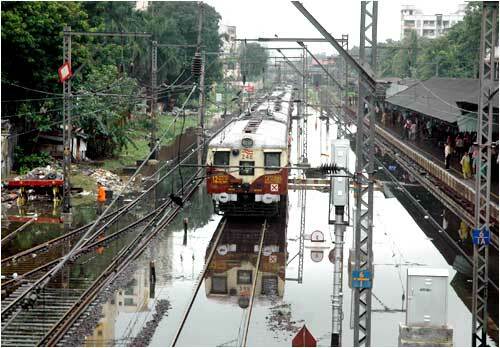 Western Railway services were late by up to 15 minutes due to submerged tracks at stations like Grant Road and Borivali, they said. Road traffic was hit on the Eastern and Western highways of the city with vehicles moving slowly due to poor visibility and waterlogging, traffic police officials said. 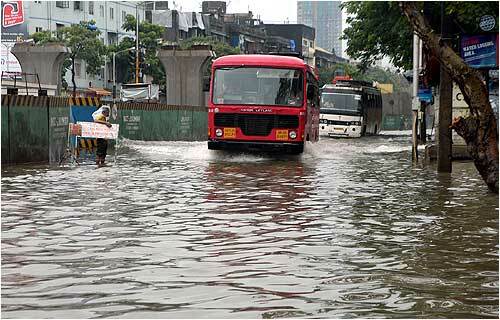 The metropolis experienced incessant downpour since the wee hours inundating many areas across the city, civic officials said. Traffic at the airport was affected with the Air Traffic Control stopping runway operations due to poor visibility at around 0946 hours, a spokesperson of the Mumbai International Airport Ltd (MIAL) told PTI. Though operations on the runway resumed around 1015 hours, visibility was restricted to 800 metres due to which flight services were affected, the spokesperson said. Prior to the runway being shut down, arrivals at the airport were operating largely on schedule while departures were delayed by up to half an hour, the spokesperson said. 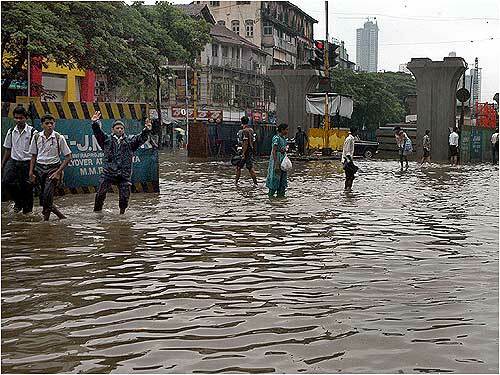 Waterlogging was witnessed in areas like Hindmata junction in Parel, Nana Chowk in south Mumbai and Milan subway in suburban Andheri, resulting in vehicles moving at a snail's pace. 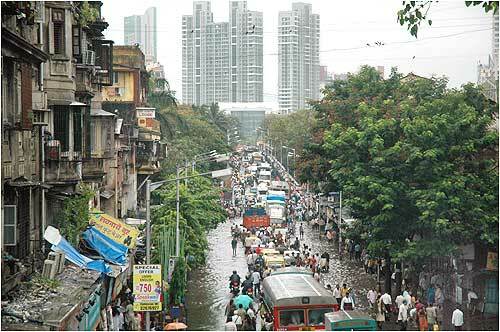 The Meteorology Department's Colaba station (in city) recorded 73.7 mm of rainfall over the last 24 hours ending at 0830 hours on Wednesday, while the Santacruz station (in the metropolis) recorded 32.2 mm. 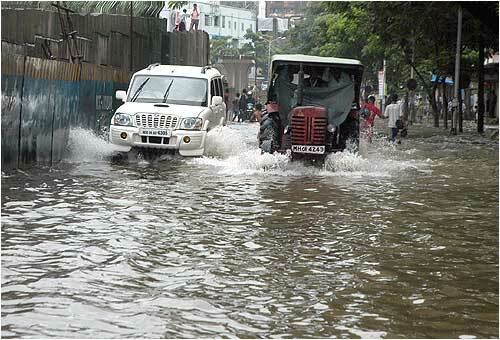 Spells of heavy rains and thundershowers have been forecast for the remainder of the day and a high tide of approximately 4.19 m is expected around 1326 hours, met officials said. The city may also witness gusty winds and thunderstorms in the next 48 hours, Met officials said. However, Brihanmumbai Municipal Corporation (BMC) has imposed 30 per cent water cut across the metropolis citing depleting water levels in the lakes supplying water to the city. Five DVD picks for that rainy afternoon!